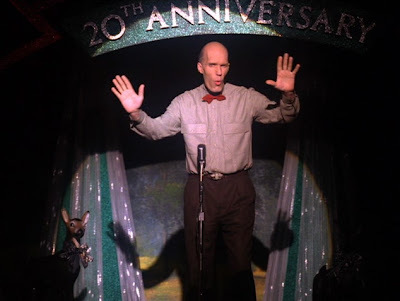 TWIN PEAKS ARCHIVE: Exclusive Carel Struycken interview! 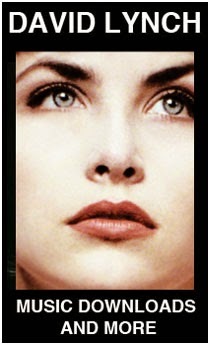 Twin Peaks Archive: You had quite an exotic upbringing. Whereabouts were you born? Carel Struycken: I was born in Holland, then moved to Curacao in the West Indies. TPA: Your website mentions you recorded some Caribbean waltzes when you were 15 – how did that come about? CS: When you’re there, you want to get involved in the culture. It’s funny, that’s been on the website for about 3 years and every so often there’s a lot of interest. TPA: The website mentions that a CD of the music might be released. Would this be your original recordings at 15? CS: I would re-record it… but I haven’t played piano for some time. TPA: When did you first decide to start acting? CS: I never did, it just happened. I went to film school, and while I was there I was approached for a part in a student film. TPA: How did you get the role of Mr. Homn on Star Trek: The Next Generation? CS: Well, it was one of those ‘catalogue casting’ calls, where they call up 20 or so actors. The first part they offered me was small. I’m a fan of Star Trek, so I said I would rather hold out for a bigger part, and they called me back a while later with the role of Me Homn. TPA: What was the Star Trek 40th Anniversary convention like? 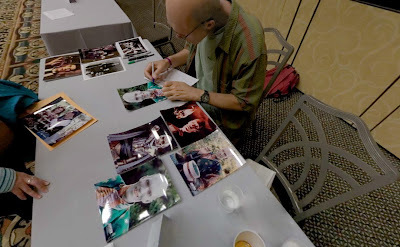 Had you attended any Star Trek conventions before? CS: It was big. (laughs) It was very nice, I actually had my own stall for signing autographs. I’ve attended many of the conventions before, but this one was special and on such a grand scale. TPA: What was it like attending the Twin Peaks Festival & how did it compare to the Star Trek convention? CS: I’ve been invited once and would love to go again. It was very nice, a very intimate setting and a lot of great people there. Just by nature of the scale, it was a lot more up-close and personal. 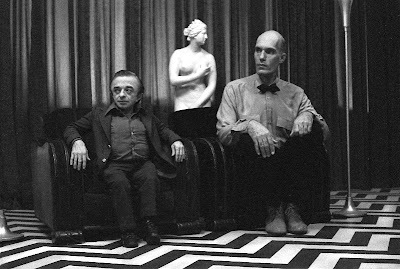 TPA: How did you get the role of the Giant on Twin Peaks? CS: That was through casting director Johanna Ray, a great person. She read me for the part and I actually never met David Lynch until we started shooting. He trusted Johanna’s judgement on casting me… or my part was so small he didn’t really care who did it. That’s the other way of looking at it! TPA: Were you aware of David Lynch or Twin Peaks before taking the part? CS: Yeah. I hardly ever watch TV, but that was one of the shows I would watch. So it was a big complement to be there in person. TPA: Did Lynch explain the character to you or give you any hints as to the meaning of the Giant or where he came from? CS: No, I don’t think he explained any of his characters to anybody. And I don’t think he wanted to know himself. I always thought of The Giant as a kind of spectral projection, or alien, helper. TPA: Before the last episode did you know that the Giant and Hank Worden’s Room Service Waiter were one and the same? CS: No, I didn’t know. And it may be that he (Lynch) only decided that on the last episode. The whole shoot happened in one very long night. I remember a 24 hour shoot and learning my lines backwards at three in the morning. Little Mike, he can read something and say it backwards in real time, so he helped everyone and became our backwards dialogue coach. TPA: Did you keep any props or costumes from the show? CS: Well, I actually had the shirt I was wearing made by the same tailor, because I didn’t get to keep the actual shirt. But the strange thing is I’ve never worn it, it’s still hanging in my closet. So I might take it out and wear it! TPA: Did you take any photos on the set? CS: No, I only started taking photos two or three years ago. CS: It’s strange, but I always got the feeling there was a boycott by the network. I got the impression that even when it’s a success, they don’t feel comfortable when they don’t have control over it. So the first thing they did with the show was put it on a very unfavourable timeslot. To me it looked like they were trying to kill it. TPA: Once the series was off the air, Lynch directed FWWM prequel, although this didn’t feature The Giant. Was this your decision or would you like to have been involved? CS: No, I would love to have been involved – but they never asked me! TPA: Did people ever see you walking down the street & recognise you from the show? CS: That actually happened more in Europe. I was at a museum exhibition in Paris and I noticed that one or two girls were following me. I kept walking and the group got bigger and bigger. Finally, when I went outside again, there was a whole bus of Italian girls following me around. I always call that my claim to fame. (laughs) Some big movie stars are mobbed wherever they go, but I was followed by a busload of Italian schoolgirls! The other interesting thing is that I was in Romania a few years back and everyone recognised me. Then I found out that one of the very first TV shows broadcast after the overthrow of the dictator was Twin Peaks. The strangeness of the series resonated with them. It’s such a traumatized population, because in their country ultimately nothing makes sense. So watching Twin Peaks made sense to them because also in Twin Peaks nothing makes sense. TPA: Can you explain to us the process of Spherical Panaramas (a type of specialized photography where the viewer can see a scene from 360 degrees)? CS: Well, you take a digital camera and take a number of images which you stitch together. That’s the easy part. The hard part is creating images that are shot inside the building where the outsides don’t look washed out. It’s a pretty specialized field – in each country there are a handful of people who can do it. I’ve been doing it about three years and I’m getting better and better. One of the things that intrigues me about technology is how to make things hyper-real. TPA: What's next for you? CS: I’m trying to make the photography into a business venture, and whenever there is some time, i work on a mixed media project, something that combines elements of a feature film and a website. It is about how we are re-claiming our original (hunter-gatherer) mindset in this electronic age and the challenges of moving towards a virtualized environment. Twin Peaks Archive thanks Carel for a great chat and encourages everyone to check out his Spherical Panoramas here. Also, don't forget to check out Carel's website where you can find out what he's up to and order an autographed photo or two! This interview was conducted by Graeme Larmour exclusively for TPA. Wow, that was great. I love how artistic so many of Lynch's actors are in their free time. Terrific interview, as always! Thank you!! "The things I tell you will not be wrong." Yeah these interviews are great. Especially hearing about the show from the perhaps, lesser appreciated characters. On that note, it would be interesting to hear from Billy Zane! 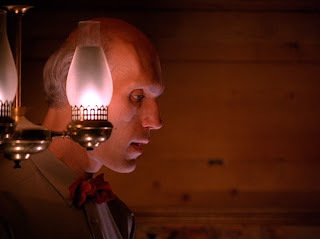 He seems so nice person, I wish he were part of Fire Walk With Me. "Better to Listen than to Talk"
He's an awesome actor and has a very interesting (peripheral) view on the world, as far as I can tell from his interviews. 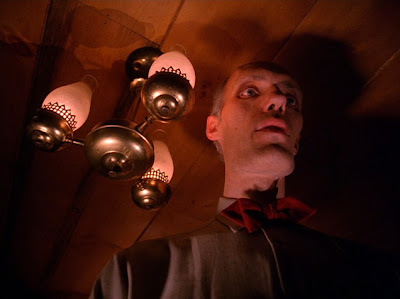 I have just finished watching Twin Peaks for the first time (at 19 years old), and I found out that Mr. Struycken has studied and photographed in the same city in Holland where I am studying now, called Leiden, and he has also been a member of my rowing club, which is super awesome. 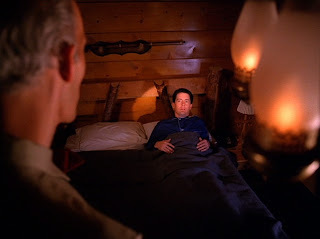 Partially thanks to him, I've decided that Twin Peaks is the best show I've ever seen. Can't wait to see him perform again in season 3 in 2016.